More than just a title, "Hail Infernal Darkness" signifies DRAWN AND QUARTERED's singular mission. With this fourth album, the Pacific NW scene legends have achieved perfection through a greater, more expansive range of dread and darkness. 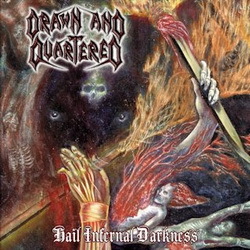 DAQ stake their claim for Death Metal supremacy!